Sakhi for South Asian Women’s feminist storytelling event will take place on Tuesday. 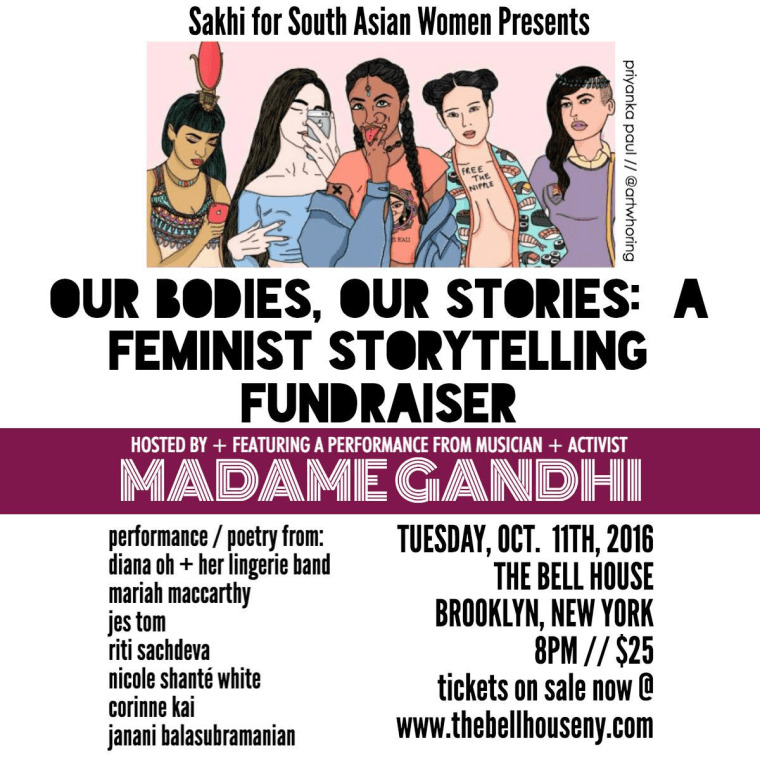 On Tuesday, Los Angeles artist and activist Madame Gandhi will be in Brooklyn to host Sakhi for South Asian Women's "Our Bodies, Our Stories: A Feminist Storytelling Fundraiser." Madame Gandhi will also perform at the event and will be joined by Diana Oh, Mariah MacCarthy, Jes Tom, and more. The event takes place at The Bell House in Brooklyn and begins at 8 p.m. Tickets are available now on The Bell House's website. Read The FADER's recent interview with artist and activist Madame Ghandi.